The SVST Tuning Kit contains what you might need to complete a basic tune. The tools are packaged in a Cordura bag and include easy-to-follow, step-by-step instructions. This premium stone will help you get the finest, most precise steel edge. A nice size and a leather pouch to carry it with you and make little repairs in the lift line. True die-hards keep their edges sharp! Machined out of 3/16-inch thick clear acrylic with a notched corner for cleaning wax off metal edges. This ain't no hobby-shop-quality file brush cleaner found in a hardware store. With the cost of files today, the name of the game is to get as much productivity and cutting life you can out of each one. This 5-inch, fine grit file was developed for use with SVST's Pro-Edge Beveling Tool. Same width and thickness as a 10-inch file, but sized for file guides. Hardchromed for long life and smooth cutting. 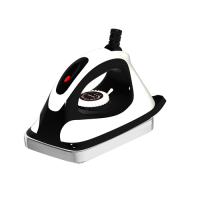 The temperature on the compact Hot Wax Iron can be set from 100Adeg to 260AdegF. It also has a temperature dial, heel rest, control light and an 8-foot power cord. "Ouch!" ...That's your gouged base talking. Don't let that rocky mishap slow you down. Fix it up with these candles - an essential base repair product if you're charging hard and keeping your gear tight. The SVST Snowboard Tuning Kit has all the items you need to complete a quality and consistent basic tune. Tools are packaged in a durable Cordura bag and include easy-to-follow, step-by-step instructions. Waxing will make you love skiing and riding that much more - trust us, it's so zen. Plus it gives you a reason to hang out in the garage! Sun Valley Ski Tools is here to help you feel like a pro. Since its introduction, SVST Ultra Ski Wax has been the choice of many ski and board shops, not to mention the numerous race programs that are proving that SVST Ultra wax produces optimal glide with minimal friction and superior durability.